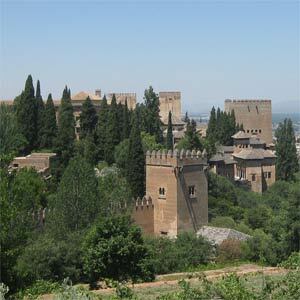 Alhambra Tour avec billets et guide expert inclus. DERNIERE MINUTE! 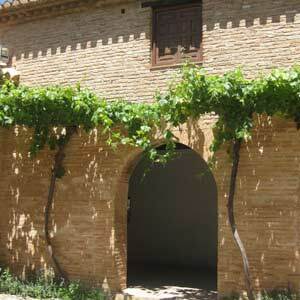 What Alhambra Online propose to you is to transform this visit in to an extraordinary experience rich of knowledge. 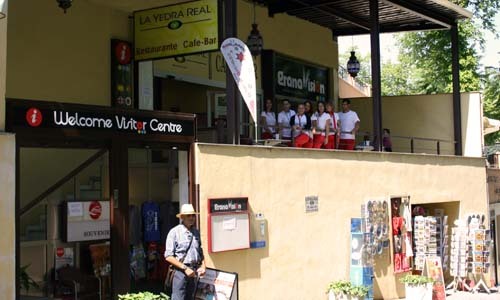 With our guied tour of Alhambra, you’ll have at your disposal one of our official tourist guides, expert interpreters of Granada’s heritage, who will guide you through every part that forms the “red fortress”, who will also answer any queries that you may have about this spectacular monument. 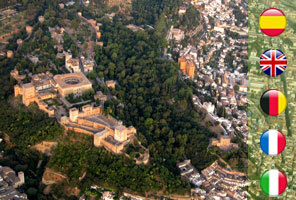 - The Alcazaba fortress: the most antique area of the Alhambra’s complex. In the past it was a military precincts. - Nasrid Palaces: including many rooms, enhancing the Palace of Mexuar, Palace of Comares and Palace of Leones, considerate this one like the maximum exponent of Nasrid art. - The Generalife: sultan’s summer palace, situated at East of the Alhambra and surrounded by wide gardens filled with a great variety of vegetation, framed by a beautiful islamic landscape.